The SaeboGlide (formally Hemi-Glide) is a new revolutionary product specifically designed to exercise the affected arm. It is the only device currently on the market that will challenge the stroke survivor at all stages of recovery. 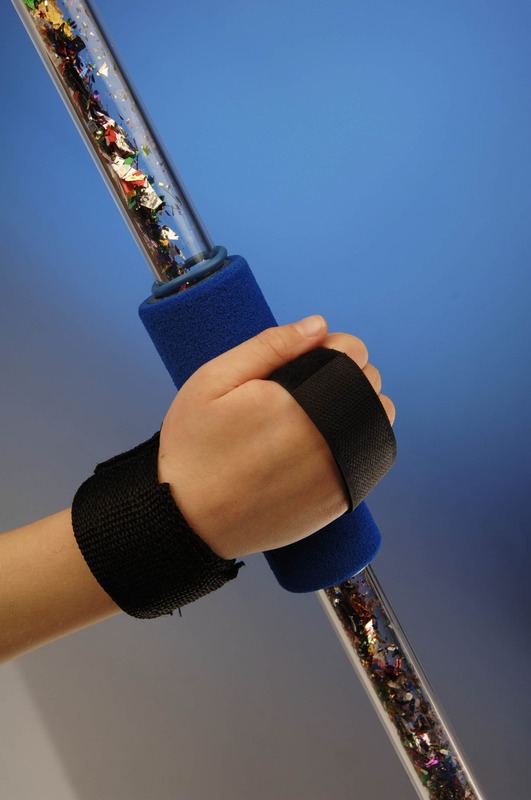 The SaeboGlide offers a way to exercise the affected arm by using the gliding sleeve. Following placement of the hand onto the gliding sleeve, the distal support will allow the stroke survivor to perform various controlled upper extremity exercises at his or her appropriate strength level. This version is for children who exhibit poor gripping ability. Comes with hand strapping system. Can exercise your involved arm in all planes of movement. Can be used in lying, sitting, and standing position. Individuals with poor hand function can use the SaeboGlide with the hand strap. Challenges you throughout all stages of recovery. Comes with an easy-to-read instruction manual with over 50 pictures of recommended exercises.